This is the second multi media content creation campaign I created and edited for ComStrat 565. It is a video about one of my favorite things about living in Portland, the food carts. The video shows one of my favorite carts as well as a video and imagery that I feel helps to convey the message of how great the food carts are here. There is also a blog that I created as well as social media platforms being utilized. ComStrat565 focused on tactics and strategies for consumer analysis and brand development; skills necessary for uncovering consumer insights to link client objectives, account management, creative development, and media planning. This project was part of my final marketing campaign project in this class. 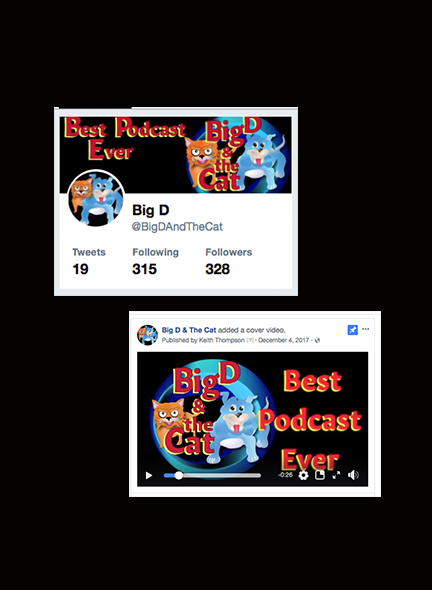 The campaign consisted of consistent messaging across multiple social media platforms and the construction of a website for the podcast. 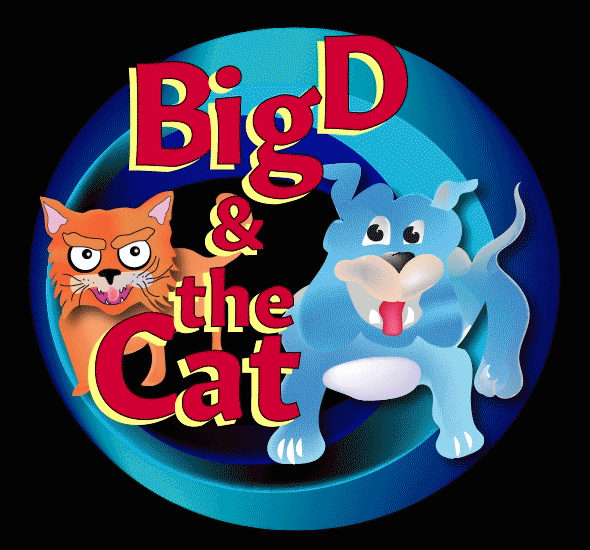 The website can be seen here BigD&TheCat The logo and design layout went through several changes based on usability testing and qualitative feedback learned from conducting a focus group of college graphic design students. The final messaging strategy addresses the target audience and conveys a consistent messaging strategy. This project was my final digital marketing campaign project in this class. 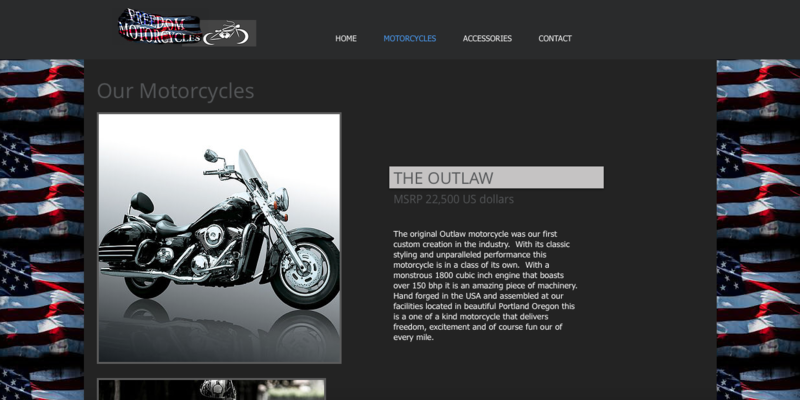 The campaign was the creation of digital content for a fictional motorcycle company I created called Freedom motorcycles. All the content creation was based on research of the customer personas of potential target markets for the products. The website can be seen here: FreedomMotorcycles The logo and design layout went through several changes based on usability testing and qualitative feedback learned from conducting a combination of survey results and in depth interviews from convenience samples. The final messaging strategy addresses the target audience and conveys a consistent brand message across various platforms. 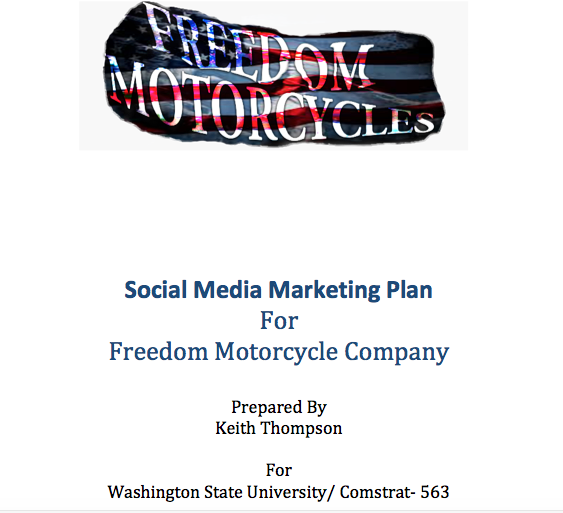 I also created a social media marketing plan for the company as well that can be seen here: Freedom Motorcycles Social Media Marketing Plan.